I was inspired by a recent post by Michelle Erfurt to share one of my favorite ideas for a quick and easy prop to use for movement to music or as a simple visual aid: holiday-themed paper plates. Why do I like these? They’re easy to find at your local retail establishment. No special orders or waiting for packages to arrive. They are lightweight. This is great news for those of us who already are hauling around a lot of other equipment. It also means that most clients can manipulate and move these objects around with little difficulty. They take minimal prep time from the therapist/caregiver. Really, you could use these fresh out of the package (which I often do). With a bit more effort, you could attach craft sticks to make them easier to hold, or dress them up with crepe paper, ribbons, or glitter. Decorating the props could even be an additional arts and crafts activity for your residents or intergenerational group. They’re vibrantly colored with clear artwork. I am the first to admit that I am not a crafty person, and my skills in the visual arts are minimal. The pictures of pumpkins and ghosts on these items look much better than anything I could produce on my own. The plates allow every group member to hold a visual cue in their hands. This is especially helpful with group members who have memory impairments. When everyone is holding a picture of a jack o’lantern, for example, it can be easier to facilitate a discussion about jack o’lanterns or cue other memories about Halloween. It’s also an easy way to address reality orientation during the course of your regular exercise group. Because the plates are thin, they may be difficult to manipulate for some folks. Be creative with adaptations – craft sticks, elastic, glue and staples can go a long way. Using these may feel childish in some settings. Be mindful of the language you use to introduce these props into your sessions, and watch your group for clues that this does not feel appropriate for them. Don’t overuse these props, especially with groups that might see them as childish. These can add some welcome variety and inspire new ideas for movement to music, but they can also get boring quickly. 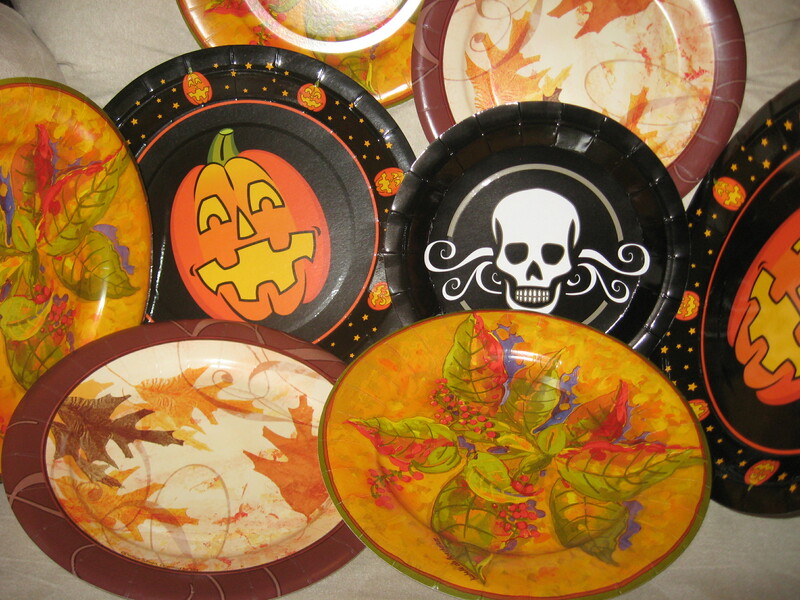 In any case, over the next two weeks, I will be bringing my Halloween-themed plates and a recording of “In the Hall of the Mountain King” to many of my sessions, ready to see what creative movements the music and visual aids will inspire! I use plates, too. Most recently I used them for stop lights. The little kids showed me it worked best if the red and green were back to back, so I glued one together. They love being in control! I use them some for chair dancing activities with adults most recently smiling sun plates I created with yellow plates and a black marker. AWESOME idea! I’m going to the store right now… That’s perfect!!! Great Idea! I was wondering if you had a few ideas of “love” themed movement activities to use with the plates? Hello! I usually let the music be my guide for structuring movement. That is, I often pick a recorded song and make up appropriate movements that fit the rhythm and structure of the song. Using recorded music lets me demonstrate movements and give verbal cues during the music. Many love songs could work. Another good one is “The Glory of Love” – hold plate out for “give a little,” hold plate to heart for “take a little,” then dance side to side for the rest of the chorus. I hope that helps!